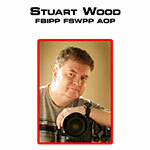 Stuart Wood’s work is varied; his specialities are people and lifestyle. Apart from regular commissions for his TV and magazine clients (such as Cosmopolitan, BBC, Radio Times and Grazia), assignments also include corporate portraiture and book commissions. This is an area where he feels his open and relaxed style helps his business subjects feel at ease. Stuart’s publishing and advertising clients include Eurostar, Mars, Sainsbury’s Magazine and Sky Magazine. 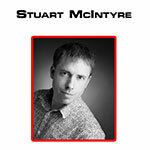 Stuart has been a professional photographer for 15 years, and a Studio owner for the last 10. With Studios in 2 cities and a staff of 12, Stuart and his team shoot in the region of 150 sessions a month. With a general practise approach, Stuart shoots families, babies, make-overs, boudoir, events, commercial and PR – yet still finds time to shoot about 15 weddings each year. Stuart was The Click Group Portrait "Photographer of the Year" 2010 and has just won the Fresh photographer of the year, 2011. With over 20 years’ experience behind the lens, 18 years marketing and setting up Studios and 15 years lecturing photographic sales and marketing, Charlie is a true all-rounder. His natural ability to work well with models and to get them to perform in front of the camera has made him an expert in direction, posing, styling and creating saleable images. Charlie’s humorous approach and the speed at which he works goes hand in hand to ensure his subjects feel relaxed and comfortable and enjoy their shoot. 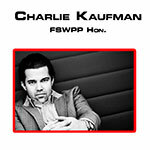 Charlie’s work has been published in almost every top selling fashion magazine and newspaper in the UK. 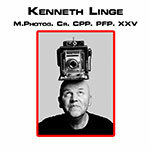 As one of the world’s foremost photographic educators, Kenneth’s photographic list of awards and accolades are endless: Norwegian Photographer of the Year, numerous Kodak Gold Awards for the Nordic division, several Scandinavian Fame Portrait “Photographer of the Year awards, PPA’s, Masters and Craftsman Degrees as well as Loan Collections prints – quite a list! Kenneth moved to the USA in 2000 leaving Norway as the 90’s most award-winning photographer in Scandinavia. 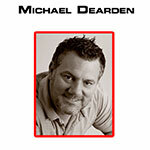 Michael Dearden is not only one of the UK’s top portrait and wedding photographers, but also a “Master Educator”. Dearden Studios have been members of The Click Group, Fresh and Boudoir by Fresh for many years and have always achieved incredible sales averages and numerous recommendations. In addition to becoming UK Master Photographer of the Year in 2010, Michael has also won: UK Portrait Photographer of the Year, UK Wedding Photographer of the Year, UK Contemporary Photographer of the Year, Welsh Fashion Photographer of the Year and 10 times Welsh Master of the Year. 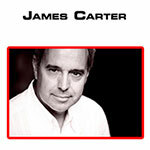 James Carter Photography is celebrating 25 years in the Portrait Business. Within this time, James has devised many great sales techniques and tips which have added many thousands of pounds profit to his established Studio and now he is willing to share this valuable knowledge with you. Winner of the National Kodak of the Year Award, Post Chairman of the London Portrait Group and Business Speaker at many seminars, including the SWPP Convention – James has a wealth of experience to offer delegates of his course. Over the past few years Sarah has become one of the UK's top Newborn Artists, working from her dedicated Newborn studio near Newark Nottinghamshire. Sarah has now just opened a larger studio set in the heart of Floralands Farm Park and Garden Centre in Lambley Nottinghamshire. 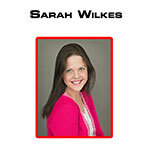 Sarah quickly earned herself a reputation as a leader in the field of Newborn Art Portraiture and already runs 1:1 classes teaching the Art of Newborn posing and trains photographers from around the world. Tracy is one of the highest qualified photographers within the newborn industry, recently achieving her Fellowship with the SWPP which is the highest qualification achievable. 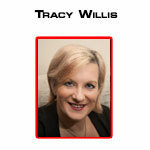 In addition Tracy has also won three Photographer of the Year titles and dozens of image merits. Working from a beautiful studio in Bournemouth, Dorset Tracy and teaches newborn photography to people from all over the UK and abroad, places such as Denmark, Switzerland and even Singapore! 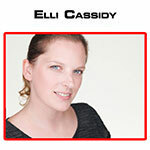 Elli Cassidy is regarded as one of the UK's leading trainers in the safe and creative art of newborn posing. She is a qualified, award winning and highly experienced newborn photographer with an established client base and is in demand by her clients for her newborn photography. Elli has a dedicated newborn studio in Lincolnshire and has trained people from around the world. She believes it is her strong business background, including a First Class Honours Business Management Degree, that has helped her photography business grow so profitable. 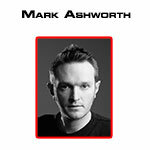 Mark has been in the industry since leaving school at 16 learning the craft in a busy High Street studio in Cambridge. Now some 20+ years later he runs his successful studio from jome which is celebrating 10 years of business. With a family session average of just under £650 from a mixture of Click leads and other local promotions he shoots around 250 sessions a year as well as weddings and commerical commissions. Mark has been the most nominated photographer in the Click & Fresh awards having more images than any other studio in the finals and boasts 2 wins as Click Photographer of the Years. Mark loves working with all types of people and can instantly relax people giving a great experience during both the session and viewing. 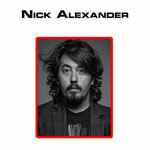 Nick Alexander is one of the UK’s most rounded photographers. From cruise ships and events to studio portraiture and Hair and Beauty editorials Nick has demonstrated a remarkably diverse skill set. His work has been featured many times including in Wella promotional material and Vogue Italia.